Bruce Lee had a way of taking heady philosophy and physicalizing it, giving it a purpose in a human context, and illustrating it in an entertaining way. Instead of viewing the Yin and Yang as opposites, Bruce would say that they are complimentary to each other. He said that the basic theory in Yin Yang is that “nothing is so permanent as to never change.” Instead of opposition, there is cooperation. 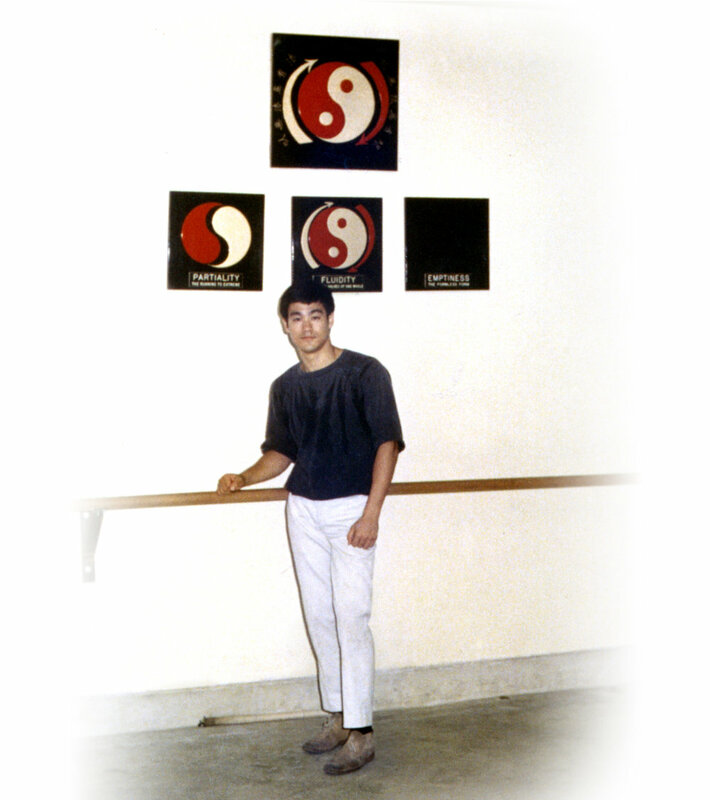 Bruce’s core symbol for Jeet Kune Do is a modified Yin Yang symbol that he added to. He added two arrows around the Yin Yang to represent the continuous interplay of the two parts and a Chinese phrase around the arrows that says: “Using no way as way, Having no limitation as limitation.” Bruce had his friend George Lee construct 4 plaques that showed the stages of a man's cultivation: Partiality, Fluidity, Emptiness, and the core symbol for Jeet Kune Do. Bruce incorporated his version of the Yin Yang into his martial arts practice by not only learning hardness and toughness, but gentleness and softness. Because sometimes you need to flow with your opponent’s energy as opposed to always stopping or hitting. Yin and Yang mutually help each other and are in harmonious relationship with one another. This ties in with the idea of harmonious individuality, how you can cultivate yourself as an individual, but be in harmony with the world around you. Take Action: What extremes are you holding on to? When you’re in conflict, can you see the situation in totality? Can you to hold on to your point of view, yet soften and hear the other person? Whatever your position is, it is one half of the Yin Yang symbol, try and soften to see the other side. If you’d like to share how you’re doing with this action item on Yin Yang you can email us at hello@brucelee.com or on social @BruceLee. This week’s #AAHA is Cary Fukunaga, an American film director, writer, and cinematographer, and his recommendation comes to us from his childhood friend. Cary is known for directing Sin Nombre, Jane Eyre, HBO’s season 1 of True Detective, and Netflix’s Beasts of No Nation. On Beasts of No Nation he was the writer, director, cinematographer, and producer, which reminds us how Bruce Lee would write, produce, and direct his own work. Cary, we admire your mastery, artistry, storytelling, and hard work, keep being awesome!